Our Luxury Family room is the largest bedroom in the lodge. Its 30m2 and can sleep up to five people. It has a queen size bed, a bunk-bed and an extra single bed if requested. It has a luxurious en-suite bathroom with a bath. The room faces south east , so you have the sunrise in the morning and the sun on the terrace until sunset. It is also the only room in the house with its own private sun-terrace overlooking the pool and other terraces. All linen and towels are provided, and is chambermaid cleaned every morning. Free off road secure parking within view of the room. 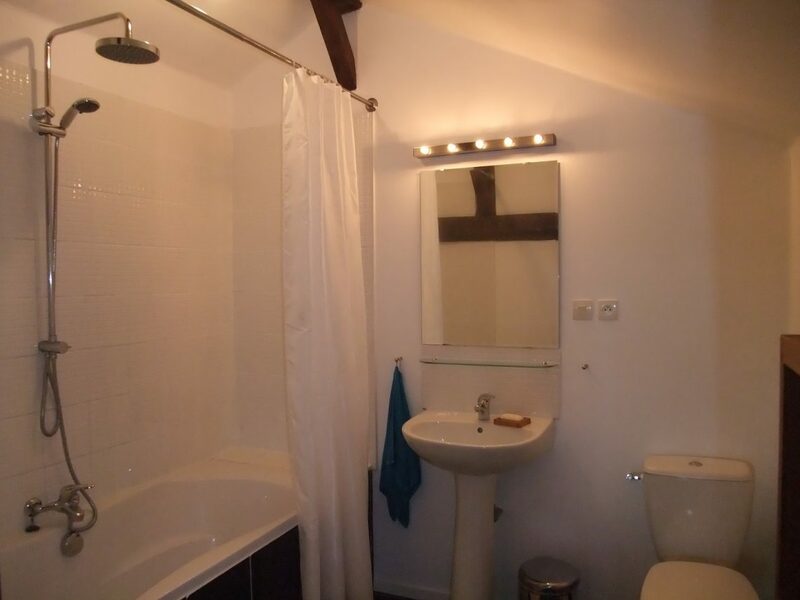 This en-suite has a shower, toilet, basin, and a bath. One large double bed, one bunk-bed, and a single bed. Two doors , one in the house and one from the private sun terrace. Accommodations were spacious and clean, and the morning breakfast kept us filled until dinner-time. The best asset of this place was Troy and Nellie's hospitality. 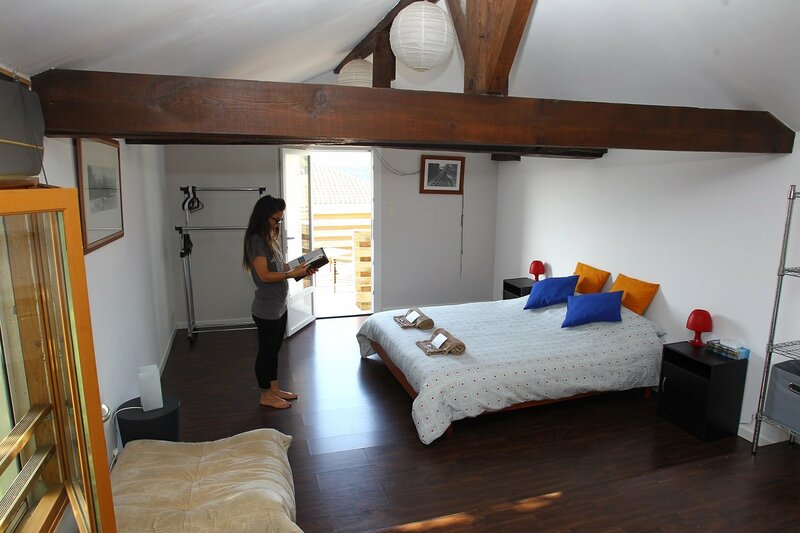 A wonderful place not far from the super beaches and surf spots of Les Landes. It's made super relaxed by super friendly hosts Troy and Nelly. The Secret Spot is a haven of tranquility and with an outdoor kitchen, we enjoyed the outside as much as the inside. Yes 45 mins away for an amazing cheap-cheap shopping trip, in the beautiful city of San Sebastian. We loved it ! The most amazing room in the house, would highly recommend it for the luxurious bathroom and views over the corn and the swimming pool.